For air conditioner repair, service, and maintenance in Hollywood, Florida, one company outshines the rest: Quality Air Conditioning Company. Located just eleven miles north of Hollywood in Fort Lauderdale, Quality Air Conditioning Company has been serving Southeast Florida’s Gold Coast for close to five decades. With unparalleled service, attention to detail, and devotion to customer satisfaction, family-run Quality Air Conditioning Company is the clear choice for air conditioner service and repair in Broward County. Whether you own a casual gastro-pub on the outskirts of Hollywood’s Central Business District, a hotel on South Lake, or condominium complexes along a stretch of Hollywood Beach, you need to find commercial air conditioner units that will work for the size and configuration of your buildings. 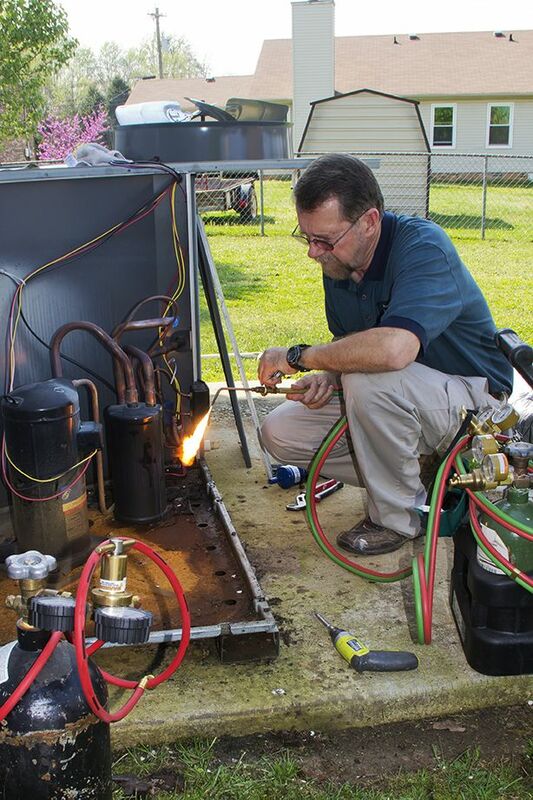 The staff at Quality Air Conditioning Company is trained to accurately assess your business’s climate control needs. We’ll recommend the air conditioner systems that will give you just the cooling power you need, while staying within budget. And, with our service contracts and maintenance plans, you can be sure that the air conditioners we install in new construction or replace in older buildings will continue to function at their highest level of performance for many years to come. Quality Air Conditioning Company services all makes and models of air conditioners, performing repairs on dozens of brands including Trane, Ruud, American Standard, Carrier, Bryant, Rheem, and Lennox. Whether your home was built in Royal Poinciana right after the Second World War, in West Hollywood in the late Fifties, or after the Millennium in Harbor Islands or Hollywood Golf Estates, the knowledgeable techs at Quality Air Conditioning Company have the experience to take care of any needed air conditioner repairs swiftly and competently. Our company’s trucks each carry several hundred parts, so our technicians are always prepared for whatever kind of air conditioner repair they need to carry out. And, with their factory training, the mechanical experts at Quality Air Conditioning Company know how to properly diagnose problems with the coolant, electrical systems, ductwork, or mechanical parts of your air conditioner—and how to correctly resolve the issues they find. Like its namesake in California, the city of Hollywood, Florida is a diverse center of entertainment and culture. Quality Air Conditioning Company is happy to be the supporting player that keeps Hollywood cool, even in the muggiest, stickiest Florida summers. Settled in the early 1920s and originally called “Hollywood by the Sea,” Hollywood was founded, funded, and built up by Joseph Wesley Young, who saw the town as his “Dream City.” The Hollywood Beach Hotel and the Great Southern hotel—built in 1923 and 1924, respectively—are the last remaining hotels that had been built by Young. Since its founding, Hollywood has contributed many stars to the world. Among them are baseball legend Joe DiMaggio, actor Josh Gad of Frozen fame, model Janice Dickinson, NFL defensive end Erasmus Jones, pin-up model Veronica Lake, and America’s Most Wanted host John Walsh. For the most wanted air conditioner repair and maintenance service in Hollywood, call Quality Air Conditioning Company at 954-971-1000 or 954-830-7828, or toll-free at 800-649-5415. You’ll receive swift, gracious service from Southeastern Florida’s masters of air conditioner repair and maintenance.